Do you need another gift choice for the cat lover? 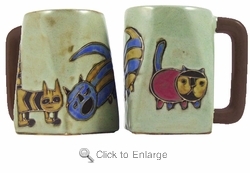 This Mara Whimsical Designed Cats Square Bottom Coffee Mug is just what you are looking for. Three unusually colored cats in different poses.